Soon some Amarillo College students will be armed with a license to carry. For several years, most states have been making policies that ban guns and other weapons from school campuses, but that is about to change. 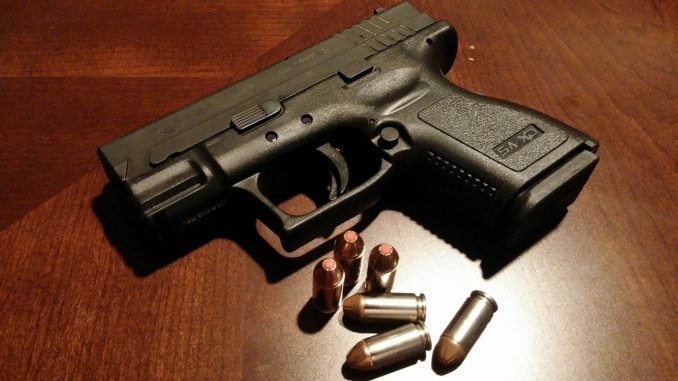 The state of Texas–along with several others states—has passed a law requiring universities and colleges to allow concealed handguns to be carried on campus. Concealed carry for university campuses began Aug. 1, 2016, and starting Aug. 1, 2017, all community colleges must allow concealed carry as well. Texas law requires AC to create a policy that allows concealed handguns and specifies where such weapons are prohibited. College officials presented a proposed policy for campus carry at AC town hall meetings held at each of the campuses at 2 p.m. Feb. 6, 7, 9, 13 and 15. The meetings were held to present the policy and get feedback from AC students and staff before the policy goes to the board of regents for review and approval. “We are certainly not taking a stance on gun control as employees and the leadership of Amarillo College; however, what we are doing is we have to implement the law that the state of Texas has given us,” Lyndy Forrester, vice president of employee organizational development, said at the meeting held on the Washington Campus. Corporal Steve Acker of the campus police said that for students who have a Concealed Handgun License or a CHL, this means they will be allowed to have certain pistols concealed on their person while on campus grounds. According to the proposed policy, there will be certain places where handguns or other concealed weapons are not allowed. On the West Campus, it includes the child development lab, all Kids’ College activities held in Building B and the Dance Gym; the Carter Fitness Center and the Amarillo Museum of Art both on the Washington Campus and all testing centers. Officials said they felt these locations could qualify as gun free zones because children and the general public visit them. “There are not many places that you can legitimately limit use of people’s right to carry on campus and other concealed weapons if they have a concealed handgun license,” Forrester said. In spite of the proposed policy, some students and faculty said they are still worried about having concealed weapons on campus. AC’s policy will be presented to the board of regents on the last Tuesday in February. If accepted, the policy will go to the state of Texas for approval, Forrester explained. AC’s vice president for employment and organizational development will review the policy annually and will recommend any changes to the board of regents.